It is set to be a good weekend of fishing, with conditions a complete contrast to last weekend. The water has become much clearer during the week and the water temperature has increased above the magic 10°C mark. I am certain the Plaice fishing will be much better. The boats have had some great catches on the Shambles, and when the Plaice get to the Shambles, they can be caught down at Abbotsbury and West Bexington. 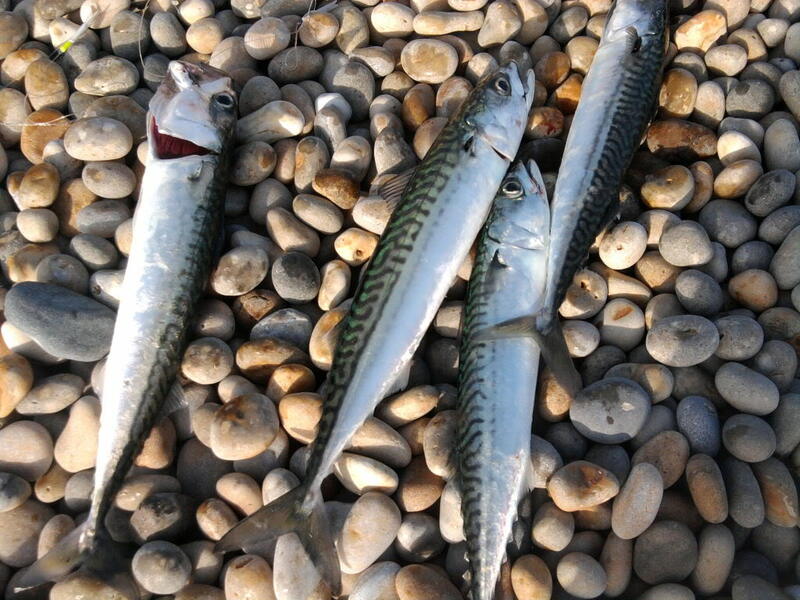 I am sure we will see quite a few Mackerel caught from Chesil Beach this weekend. They are normally here at this time, and now that the water is much clearer they should be fairly easy to catch. I will be trying for some on Sunday to put straight on the BBQ. Weymouth Bay: Calm with almost clear water. Chesil Beach forecast: I think it is well worth giving Chesil a go this weekend. Although the water is not completely clear, it is clear enough to fish for Plaice and Mackerel. Hopefully the Mackerel will come in close enough, but at this time of year, they can still be at range. The Plaice fishing will be better further to the West, with Abbotsbury through to Cogden being your best chance of picking one up. There have been a lot of Rays caught from the boat this week, so they may start to make an appearance. They normally follow the shoals of Sandeels in. So best bait is likely to be Sandeel. Portland: Plenty of Wrasse all around Portland and some nice Pollock. Both can be caught on lures and bait. 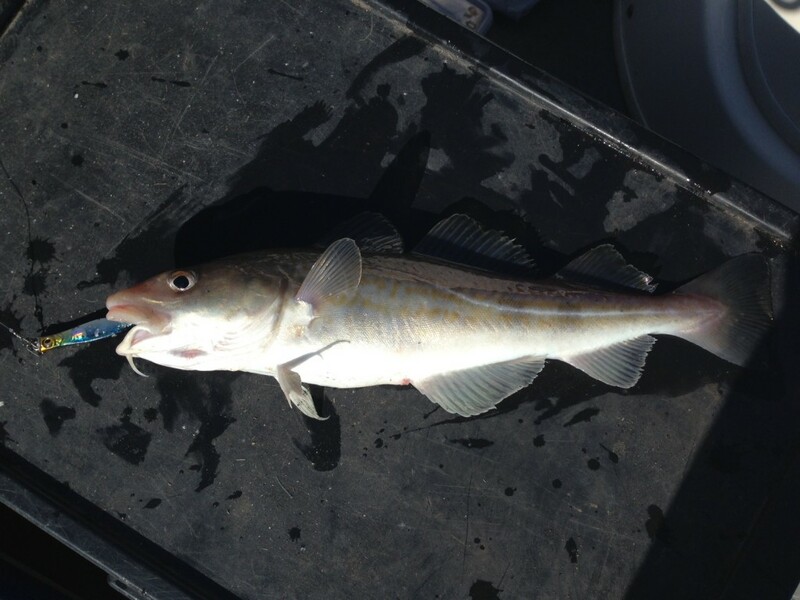 Portland Bill, Chesil Cove and Church Ope Cove will produce fish. It is possible that the Plaice will come in to Church Ope Cove at the left hand side. The Wrasse were happy to take Ragworm when I fished for them last weekend, but crab will always take the larger specimens. Portland Harbour: I have seen a few people fishing in Portland Harbour with a fair bit of success. Mostly they have been catching Flounder, but I did see a small Bass caught. There is a lot of bird activity, indicating that there is plenty of bait fish in the harbour. Weymouth Bay: Still little sign of any more Mullet in the harbour, and the water coming from Radipole is quite dirty. The piers have been producing Wrasse, Pollock, Pout and Flounder. 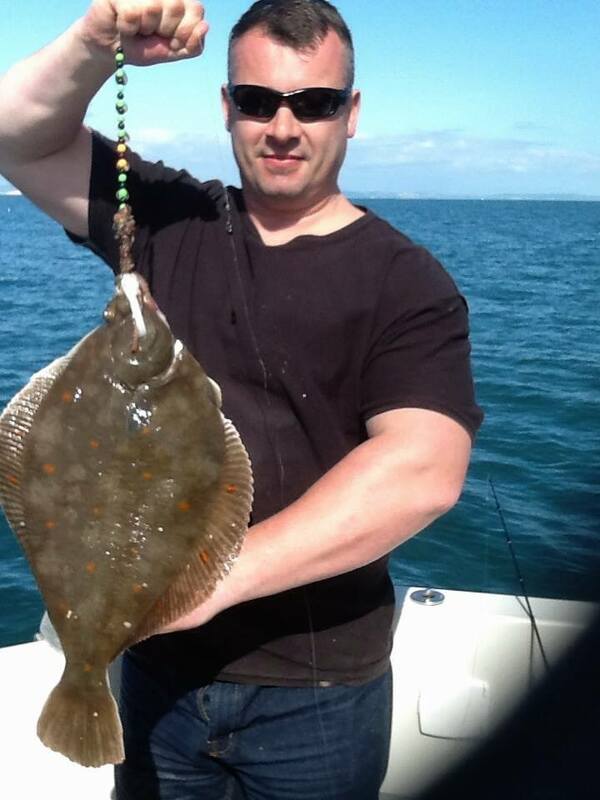 Preston has had the usual Flounder and Dabs, with Dogfish and small Whiting after dark. 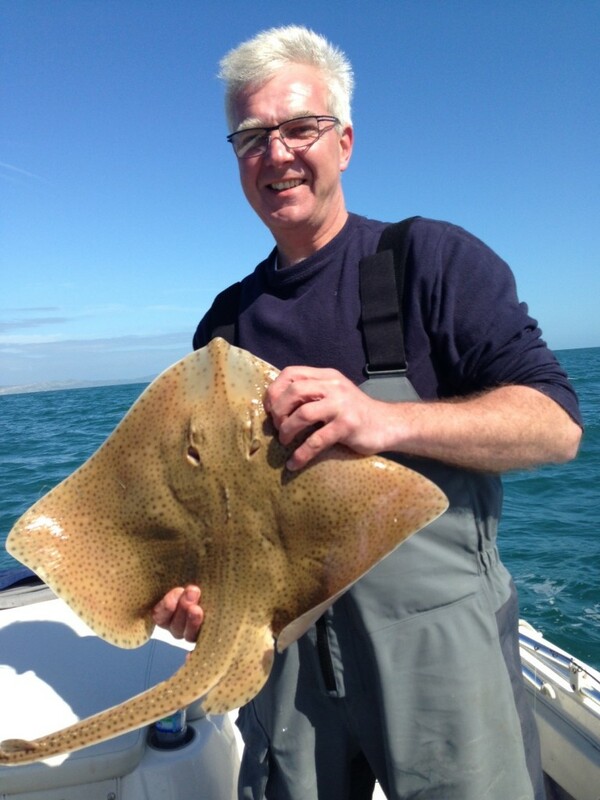 We also managed to get into the rays, with this hard fighting Blonde Ray. Not bad for an inshore mark. You don’t need a big boat to catch around Portland harbour, and Kayak fishermen can get in close to the walls to target the Pollock and Wrasse. Most of the better fishing is in water that is deeper than 5m. One Response to "At last it is looking good"
Thanks for the fishing advice and lesson on Wednesday I had a fantastic time and the Blond Ray was a real bonus.nthsnks again.